New York: A.S. Barnes and Company, 1944. Hardcover. Illustrations by Willard Mullin. Small 4to. 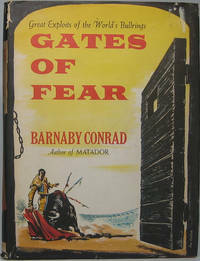 Red cloth with black lettering, pictorial dust jacket. xii, 628pp. Numerous line drawings. Near fine/good plus. Jacket quite edgeworn, with variety of edge chips and expert archivally closed (on verso) edge tears -- thus overall complete and even attractive. A tight, quite nice revised edition of this authoritative A to Z reference work, ranging from "Amateur Athlete" to "Checkers (Draughts)" to "Jai Alai" to "Yachting" and everything in between. This copy handsomely signed and inscribed by the author in black fineline on front flyleaf: "To my friend, / Richard D. Day, / with all good wishes / Frank G Mende / 9/12/44." Day was a decorated Army Air Force officer in World War Two; his small ownership inkstamp appears on the title page. Menke (1885-1954), nicknamed "America's Foremost Sports Writer," was a highly-regarded and prolific sports historian, author and reporter. An uncommon title seldom found signed. Philadelphia: The John C. Winston Company, 1915. Hardcover. Illustrations by Charles Paxson Gray. 12mo. Mustard cloth with red and black lettering and red, black and brown pictorial stamping, pictorial dust jacket. 265pp. Frontispiece, 3 full-page plates. Near fine/very good. Jacket faintly edgeworn, with single chip at upper right of spine, but complete and attractive. 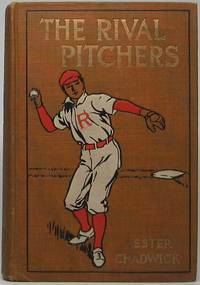 A quite tight and handsome first edition of the second title in the 3-volume "Jimmy Kirkland" baseball-theme juvenile series (all published 1915) -- and best of all the usually-absent dust jacket is not only present but bright and nice. A superb, jacketed copy of this scarce title -- truly good as it gets. New York: Hurst & Company, 1913. Hardcover. Illustrations by Martin Lewis. Small 8vo. Green/gray cloth with blue and orange lettering and blue, orange and white pictorial stamping. 316pp. Halftone frontispiece, 3 full-page called-for plates. Very good/good plus. Book faintly edgeworn only, with endpapers slightly age toned and nonauthorial 1916 gift inscription on front flyleaf; jacket a tad edgeworn with miniscule chips at corners and head/tail of spine, which is lightly soiled -- but overall complete and attractive. 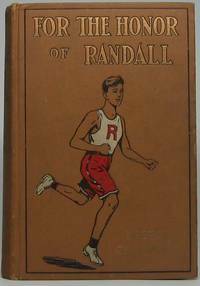 A tight, attractive first edition in the rarely-seen jacket of the second title in this 6-volume juvenile school sports series (1911-14). Rear jacket panel lists first three series volumes, all published 1911. 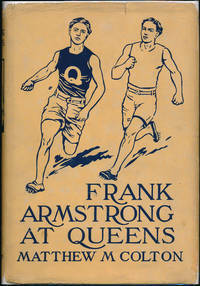 Superb front board graphic (same on binding and jacket) shows two runners neck and neck. New York: A.S. Barnes and Company, 1947. Hardcover. Small 4to. Grey cloth with orange lettering. xvii, 180pp. Frontispiece, illustrations. Very good. Faintest of binding edgewear, else internally tight and near fine. A handsome first edition of this light-hearted look at the Sultan of Swat, the Behemoth of Bust, the Big Bam, Jidge, Il Bambino, the Caliph of Clout. London: John Lane The Bodley Head Ltd, 1927. Hardcover. 8vo. Black cloth with orange lettering and decoration. xxi, 240pp, (8pp ads). Frontispiece, full-page plates. Very good. Binding faintly edgeworn but with stamping strong. A tight and decent first edition of this uncommon pugilistic memoir. Some early owner -- perhaps boxer Howard Bushway -- has neatly penned an inscription on the front flyleaf, presumably from some earlier volume, from English world champion Robert Fitzsimmons (1863-1917): "To my old sparring partner, Howard / Bushway, with best wishes from / Bob Fitzsimmons / 1908." NOT, obviously, in the posthumous hand of the legendary and long-dead British boxer. Bushway was a known sparring partner, though, so perhaps this copy belonged to him and he was simply recording a Fitzsimmons inscription from elsewhere -- unknown. New York: Cupples & Leon Company, 1947. Hardcover. Small 8vo. Red paper over boards with black lettering, pictorial dust jacket. 212pp. Frontispiece, patterned endpapers. Very good/very good. Faint binding edgewear and usual age toning to text block; jacket a bit edgeworn and lightly rubbed, with spine a bit sunned and several tiny edge chips. 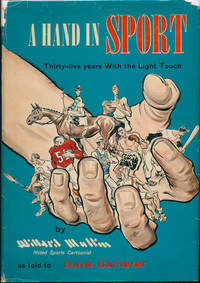 Possible first edition (this publisher does not indicate edition in any consistent, verifiable manner) of the second title in the "Mel Martin Baseball Stories" series, the first two of which were published by C & L before Garden City Publishing reissued then in 1952 and added four more titles to the series (1952-53). 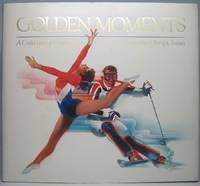 This is the uncommon original issue and likely the first edition. New York: Bonanza Books, 1957. Hardcover. Small 4to. Yellow cloth spine with red lettering and red paper over boards, pictorial dust jacket. 337pp. Numerous illustrations. Very good/very good. Faint binding edgewear; dust jacket mildly edgeworn with a few tiny edge chips, but complete and overall fairly attractive. A tight and quite nice reprint edition of what the front jacket subtitles "Great Exploits of the World's Bullrings," a history and homage to bullfighting featuring photographs and line drawings by this long-lived author, artist, boxer, nightclub owner and, yes, actual bullfighter (1922-2013). He inscribes and signs the front flyleaf huge and bold in black marker: "For William Stanhope / fellow aficionado / with best wishes / from / Barnaby Conrad / Sept 1973" and on the facing page fills the front pastedown with a superb head-and-shoulders sketch of a bullfighter wearing the heavily brocaded coat, identifying it above as "'OLD MATADOR' for W.W.S. / by / BC." New York: The Derrydale Press, 1930. Hardcover. Introduction by Henry G. Vaughan. 4to. Burgundy cloth with gilt lettering and decoration. xxi, 191pp. Frontispiece, line drawings, illustrations. Very good. Mild binding edgewear and slightly bumped corners, with front board typically "flecked." A tight, nice first edition of this history of the famed English steeplechase race, containing Brown's many and superb drawings, limited to 850 copies. Like every Derrydale title, a lovely production. New York: Harcourt, Brace and Company, 1954. Hardcover. Small 8vo. Tan/grey cloth with green spine lettering, pictorial dust jacket. 157pp. Numerous line drawings. Near fine/very good. Mild jascket edgewear. A tight, quite attractive first edition of this (to cite front jacket panel) "Illustrated Guide to Better Golf." New York: Duell, Sloane and Pearce, 1965. Hardcover. 8vo. Green buckram with black and white lettering and black, white and red pictorial stamping. 152pp. Two graphs. Very good. Discreet ex-library, with very few and mostly-removed markings. A tight and decent first edition of this juvenile series novel. Chelsea. MI: Sleeping Bear Press, 1997. Hardcover. Small 4to. Blue cloth with gilt spine lettering, pictorial dust jacket. xii, 243pp. Illustrations, maps, pictorial endpapers. Near fine/near fine. 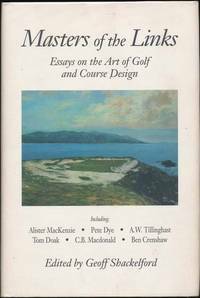 A handsome and tight first edition of what the front jacket panel subtitles "Essays on the Art of Golf and Course Design," boldly inscribed and signed by the editor on the title page: "For Paul and Saundra -- / Thanks for your support and / all your work for golf architecture! / Best, / Geoff Shackelford." 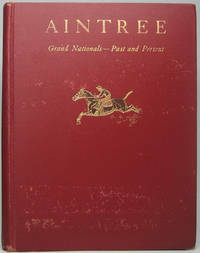 Includes essays by such notables as Robert Tyre Jones Jr., Ben Crenshaw, Alistar MacKenzie, A.W. Tillinghast, Pete Dye and C.B. MacDonald. New York: Grosset & Dunlap, 1926. Hardcover. Small 8vo. 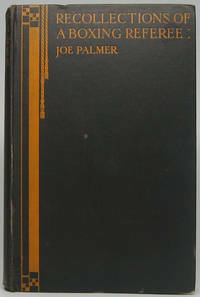 Orange cloth with black lettering and decoration, pictorial dust jacket. 265pp. Frontispiece. Very good/very good. Otherwise-sharp binding shows some odd age toning, though text block fine and pristine; mild jacket edgewear. 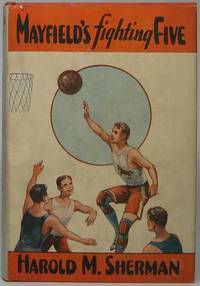 A superb and handsome early reprint edition of the first title in the short-lived "Fighting Five Basketball Series," which appears to consist of three titles only. Uncommon, especially in a nice jacket. New York: D. Appleton and Company, 1911. Hardcover. Small 8vo. Tan cloth with ivory lettering and black and ivory pictorial stamping. 235pp, (8pp ads). Frontispiece, numerous line drawings. Very good. Faint edgewear and touch of rubbing. 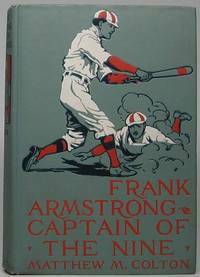 Ttight, handsome first edition of this baseball-theme juvenile fiction. Catchy front board graphic depicts a player in uniform after having just released a pitch. New York: Cupples & Leon Company, 1911. Hardcover. Small 8vo. Tan cloth with gilt lettering and ivory, brown and black pictorial stamping. 307pp, (8pp ads). Frontispiece, 5 full-page plates. Good plus. Mild edgewear, with spine lettering quite rubbed. A tight, nice first edition of the fourth title in the short-lived "College Sports Series," which issued six titles between 1910 and 1913. Copyright page list and rear ad both cite up to this title. New York: Cupples & Leon Company, 1910. Hardcover. Small 8vo. Tan cloth with gilt lettering and ivory, orange and black pictorial stamping. 303pp, (9pp ads). Frontispiece, 7 full-page plates. Good plus. Faint edgewear, with spine lettering quite rubbed; nonauthorial 1911 gift inscription on front flyleaf; faint dampstain to some page edges. 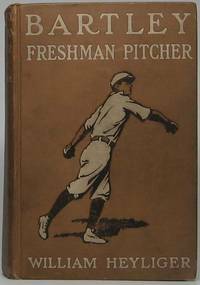 A tight and quite nice first edition of one of the first two titles (both published 1910) in the short-lived "College Sports Series," which issued six titles between 1910 and 1913. Copyright page list and rear ad both cite first two titles. Superb front board graphic shows player about to lob the ball. New York: Hurst & Company, 1913. Hardcover. Illustrations by Arthur O. Scott. Small 8vo. Green/gray cloth with blue and orange lettering and blue, orange and white pictorial stamping. 313pp. Halftone frontispiece, 3 full-page halftone illustrations as called for -- although "List of Illustrations" mistakenly cites illustration opposite page 312 and fails to note that opposite page 128. Very good. Almost rates "Near fine," as it's tight 'n' bright with just the faintest of rubbing at head and tail of spine. Superb first edition of the penultimate title in this 6-volume juvenile series published between 1911 and 1914. The front board graphic is particularly dramatic and handsome -- one batter caught mid-swing while another slides in amidst a cloud of dust. An exceptional copy. New York: Cupples & Leon Company, 1912. Hardcover. Small 8vo. Tan cloth with black-outlined gilt lettering and red, white and black pictorial stamping. 312pp, (4pp ads). Frontispiece, 5 full-page plates. Very good. Faint edgewear; ownership name inkstamped on front flyleaf. 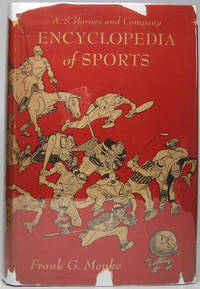 A tight, most attractive first edition of the penultimate title in the short-lived "College Sports Series," which issued six titles between 1910 and 1913. Copyright page list and rear ad both cite up to this title. A lovely copy, and rather uncommon in such nice condition. New York: Cupples & Leon Company, 1910. Hardcover. Small 8vo. Tan cloth with gilt lettering and red, white and black pictorial stamping. 305pp, (9pp ads). Frontispiece, 5 full-page plates. Good plus. Faint edgewear; discreet ex-library with NO spine marking and very few and mostly-removed markings. 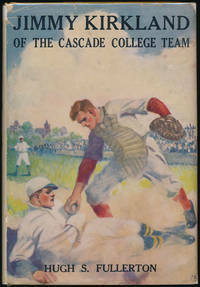 A tight, decent attractive first edition of the second title in the short-lived "College Sports Series," which issued six titles between 1910 and 1913. Copyright page list and rear ad both cite up to this title. A nice and handleable copy of this uncommon title.